AHEM: He goes for what he wants, and he will not let anyone stand in his way. With his suave style and demeanor, Fred Mukasa Mbidde is that kind of book you will judge by the cover and then realise that you should have taken the adage a little more seriously. Every human being in the world is entitled to their moment of madness. Imagine taking your future wife to a function at home and she succumbs to the heavy drums of Ziza Bafana’s Tuli Majje song. Before you know it, bend-over dance routines unfold and your beloved mum and sengas are there to witness the embarrassment that has befallen their family. Don’t scorn her, comfort her. We stray quite a few times and it is normal. The very civil will be caught peeing on the roadside, your parish priest unwinds with a ka Club beer in the evenings and others speak in gibberish. For those with no Internet bundles, Democratic Party’s Fred Mukasa Mbidde has been trending for a rare tongue-meets-mouth accident. He told off the young Democrats who were calling for his resignation from the Democratic Party with the “I will not kowtow in your poohoo” line. The bemused journalists couldn’t hold back their tears of laughter and wondered what he meant. Anti we ‘hobnoblins’ did not study English beyond what our UPE schools could offer. It is believed Mbidde has that “nfunirawa” (what’s in for me) attitude. Right from his university days as Guild president, Mbidde has been known to make a move only when the pasture appears greener. Just like the smart munaMasaka that he is, Mbidde did not let two defeats in parliamentary races ruin his political ambitions. The guy went for the big fish in the East African parliament and like that, he was back in ‘things’. Apparently, the country benefits from his being in the East African Parliament. Oh puhlizzz! We all know he is just another job-seeker. A hustler clad in designer suits is usually ‘deadly’. 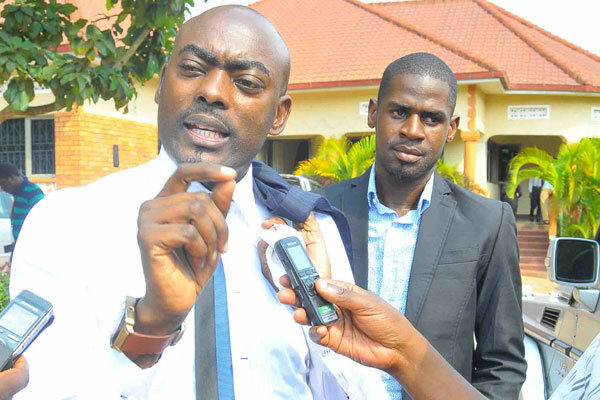 Mbidde is accused of being in bed with the NRM as he recently sought Sevo’s endorsement for the seat in the EALA, something his fellow Democrats did not find too romantic. But Mbidde cannot be too bothered. To be like Fred Mukasa Mbidde, wear the suits of a stock-broker on Wallstreet and carry the attitude of a hustler in down-town Kampala. Scheme your way into positions, big-deals and the like, attend high-brow parties to rapport with pot-bellied CEOs and business executives. Some of you attend these corporate parties to eat food and embarrass yourselves on free whisky. Be sharp. Date a rich man’s daughter and you might never starve again. That is strategy. Fred Mukasa Mbidde had his moment of madness. 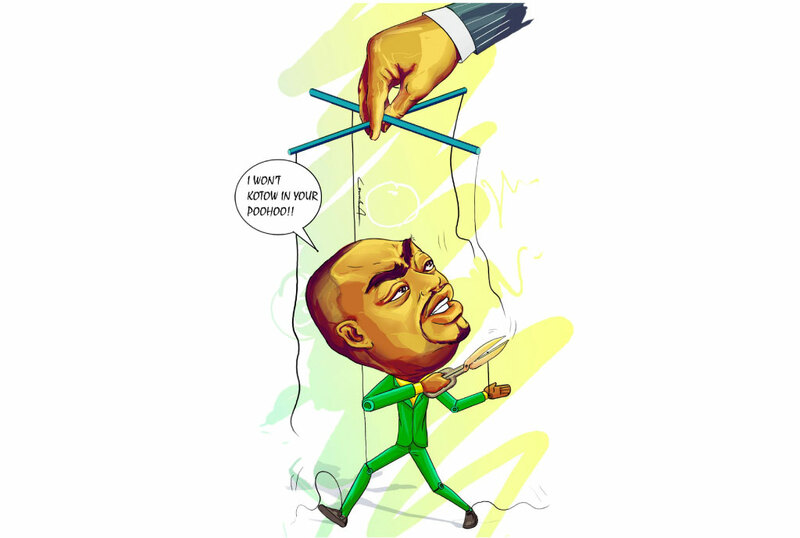 Hijacked by journalists to make a stand on the issue of him resigning, Mbidde went for the spectacular and declared how he won’t “kowtow in their poohoo”. Spectacularly odd! Everything he said sounded miscued and forged. For a second, we all thought the dude was playing. Turns out, he was actually talking about how he won’t be forced into anything. Obviously UPE graduates did not get anything. Well, the whole thing was hilarious. Remember how we crammed big words back then to impress girls before dates and stuff ended up backfiring? Anytime you are cornered and have absolutely no comeback, speak in tongues. If you are caught cheating, speaking gibberish might just get you slapped or save you. Just do it. The real hobnoblins hustle for explanations. When the police wave you down and you are hard-pressed for answers, say anything. They will let you go for being mad yet you are okay. While the country thinks Mbidde has gone mad, dude might just be in his dressing mirror combing his thick eyebrows in peace. No stress whatsoever. Mbidde looks after himself more than your ordinary Kampala man. The Ozil-eyed politician always looks sharp, dressed in designer suits. There is never a strand of hair too long of course apart from his bushy eyebrows. He keeps those trim too. Dude will never be caught shabby, never! When he was campaigning for Guild president at Makerere University, it is believed all the chicks at campus voted for him because he cleaned up nice. To be like Mbidde, it is time to put your barber, manicurist, make-up artist on payroll. Image is key. It is time to take your shopping from Swaibu in Owino to somewhere uptown. Don’t go around looking like “poohoo”. There you have it. Go ahead and be like the Kowtow maestro Fred Mukasa Mbidde.